This chaperon is based on an original depicted in a medieval Book of Hours (daily prayer book) from approx. 1350 in the collection of the British Library. Chaperons like this were worn all over Europe. They protect the head and face from cold and rain. 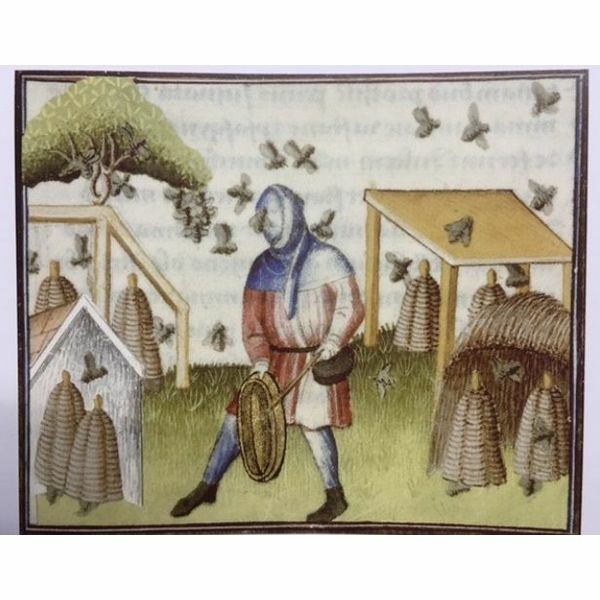 The manuscript illuminations show that this chaperon was even used for beekeeping! This chaperon ends in a long point over the back.